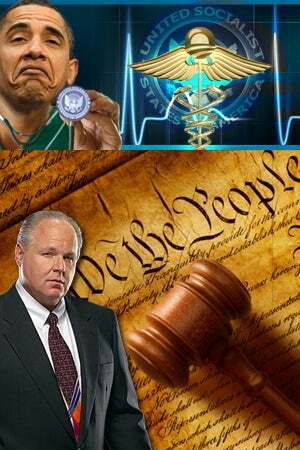 RUSH: Obama and his attack on the Supreme Court yesterday. It happened toward the end of the program in the last half hour and it was happening on the fly. I didn’t really have enough time to listen in detail to what Obama said, and thus I didn’t have a chance to, in detail, reply. I’ve now listened to what Obama said. I’ve got three sound bites here. “Why go out,” as Obama did yesterday…? It was in the form of a question. We must remember that he was asked a question about this. He didn’t launch into this on his own, but once he got the question, it was, “Katie, bar the door,” and he was off to the races. And the question everybody was asking is: “Why do this? Why attack the court? Why intimidate them, why threaten them if they had voted to uphold the mandate?” And I have an answer for that. See, I know these people. I know liberals. I don’t want that statement to sound bombastic. You people here — new listeners to the program — that’s not a braggadocios statement. It’s not bombastic. It’s not outrage or any attempt to shock. I just know them, and so when somebody asks me, “Why would Obama say that if he didn’t have to? If he had been told that the preliminary vote on Friday was in his favor, why take the attitude that he took?” There is an answer to that. I don’t know if it’s right, but there is an answer. And again, I’m not trying to be provocative when I say this. I’m just quoting Bill Clinton, folks. 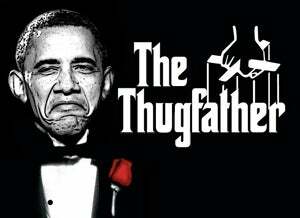 Bill Clinton referred to Barack Obama as a Chicago thug during the 2008 presidential campaign. This after Clinton some years earlier had told Juanita Broaddrick, “Put some ice on that lip” after she said he raped her. (I mentioned that for this “war on women” that supposedly the Republicans are waging.) But there’s every possibility that Obama feeling his oats, being told that the vote went his way, would still go out and do this, ’cause he knows there are more votes to come. I’m not predicting it. I’m just saying I could understand it. It’s easier to understand that somebody leaked to him that the preliminary vote went against him and that the mandate fell by whatever the preliminary vote was and that explains his attitude yesterday. But I can see him saying what he said if the vote went in his favor as well, as a means of further intimidation, making sure they don’t change their minds or whatever. You might say, “Well, how would that work? Wouldn’t that just kind of make them be more resistant?” The reason this is all a crock in the first place is that (and we will go through this as we play the Obama sound bites) it is obvious that to the left this is an entirely political process. There’s nothing judicial going on here. There’s nothing legal. This isn’t even really about the Constitution. This is about politics, pure and simple, and Barack Obama’s reelection. It’s all it is. But he says things in these sound bites which you’ll hear coming up and they’re chilling to me. “The court has to understand…” “The court must understand,” is one of his sound bites. No, the court must not — does not have to — listen to you. What is this, “The court must understand”? That is a threat! How many of you think it possible that Obama will make a trip to the Supreme Court before the vote, before the final vote? Can you see it happening? I can. I’m not predicting it. (interruption) You’re shaking your head. You don’t think it would ever happen? Why would he be…? Why would Obama visiting the Supreme Court between now and June be any more unconscionable than what he did yesterday? (interruption) It’s a visual? No! He’s just going up to say hi to Kagan. He’s going up to say hi to Kagan and Sotomayor, to see how they’re doing. (interruption) He called ’em out of the State of the Union right to their face. Remember that with Justice Alito? Anyway, let me take a break. We’ll come back and we will get into some of these sound bites and we’ll tear this down as it happened sometimes line by line. Mike, be prepared when I say, “Stop.” There might be some frequent stops and starts as we go through this. Everybody knows that judicial activism is not what Obama is explaining it to be. Judicial activism is the court MAKING law. Judicial activism is the court WRITING law. What Obama is trying to say here is that the court will be engaging in judicial activism if it judges the law according to the Constitution. That’s not what judicial activism is. I know exactly what they’re doing. They’re trying to take this term, and they’re trying to redefine it publicly to fit their needs and redefine the language (as they constantly are). But, folks, I’m gonna tell you something. It is preposterous, and it’s even a little scary to hear such abject ignorance from a supposed constitutional scholar. This is a man, Barack Obama, who was once paid to teach law, constitutional law, and he doesn’t even know the meaning of the term “judicial activism.” No one ever accuses any judges of judicial activism for following the Constitution! Judges are accused of judicial activism for not following the Constitution, for legislating from the bench, for writing their own law. This is basic knowledge. Now, maybe this is why we’ve never seen Obama’s grade transcripts, if he really doesn’t know the difference. But I suspect that he does know the difference, and I suspect that he’s trying to redefine terms here to fit. Because this has become a template argument for the left. You remember Jeffrey Toobin? You talk about a guy who’s done a 180 here, turned on a dime. During the week of oral arguments, Jeff Toobin, CNN legal analyst, was in an abject panic. These people on the left… And again, ladies and gentlemen, this is the solid truth. They do not expose themselves to any ideological thinking other than their own. They have assumed that conservatism is racism, sexism, bigotry, homophobia, all of these cliches they attach to it. And they’re not interested in talking to anybody that they think is a conservative. They really are not familiar with other ideas. They don’t speak the language. We, of course, can speak liberalism as well as they do. We understand it. They really are strangers to our core beliefs, folks. So after the shock of being exposed to it wore off, then Toobin and the rest of ’em (including Obama) had to come up with a way to feel right about everything again. They had to come up with a pacifier. And so what they have done is construct this notion of judicial activism to throw it right back in our faces. And now their definition of judicial activism would be the court throwing out something that the United States Congress did. Because, as far as they’re concerned, if the Congress did it, and the Congress was Democrats, it’s constitutional. No questions asked. No argument possible. That’s it. If the court throws that out, that’s judicial activism. Judicial activism cannot possibly exist if the court is following the Constitution. This is really a teachable moment here. RUSH: I’m gonna set the table here because I like to have a foundation established when we start the audio sound bites. And I’ll tell you: It is hilarious to hear Obama arguing, threatening, warning justices of the Supreme Court that the individual mandate is constitutional. It isn’t. There is no permission for the federal government to order Americans to sign contracts with anybody, to buy something, or to not buy something. There is no provision for this in the Constitution. In a cut-and-dried, right-down-the-middle-way. In a sane world, this thing doesn’t get out of Congress because somebody there realizes it’s unconstitutional. Remember, Obama argued against the mandate in 2008. Now, he didn’t say it was unconstitutional in 2008, but he implied it. ‘Cause he said it would mean that the government would have unlimited power to mandate anything, and he chided Hillary, his primary opponent. “I mean, if a mandate was a solution we could try that to solve homelessness by mandating everybody buy a house.” So he knows. He knows full well. He also warned and threatened the justices that the mandate exists so everybody has skin in the game, to make sure that everybody’s paying for his health care bill. But he also, as you’ll hear, blatantly rewrites the history of Obamacare legislatively. He claims, you’ll hear him say it, Obamacare “was passed by a strong majority of a democratically elected Congress.” In reality, there was no strong majority in support of Obamacare. In fact, there was strong bipartisan support against it! Thirty-four Democrats in the House voted against Obamacare. No Republicans voted for it. It was passed in the Senate on Christmas Eve 2009 by a vote of 60-39. They used budget reconciliation, any number of tricks. But he’s just up there blatantly rewriting the history of this. He’s rewriting the public support for this. He’s just blatantly making it all up. That’s why people think he got a leak. And as a friend of mine said: Why wouldn’t Kagan call him? I’m not gonna tell you that, Mr. New Castrati. None of your business. But it’s not just my friends, thinking this. It’s all over the place that somebody musta called Obama. And the logical guess if it happened would be Kagan because she was in the administration. She was the solicitor general. And these people are playing for keeps. And it’s obvious based on what Obama did yesterday that traditional rules and standards of decorum and propriety don’t matter. So let’s go. Here’s the first bite. In total, this runs a minute 45. I doubt we’re gonna get it in that quickly. ‘Cause I doubt I’m gonna be able to restrain myself and not tell the broadcast engineer to stop it. So here we go. This is yesterday afternoon. He’s with the Canadian prime minister, Stephen Harper, and the Mexican president, Felipe Calderon. OBAMA: With respect to health care, I’m actually, uh, continue to be confident that the Supreme Court will uphold the law. Uhhh… And the reason is because, uh, in accordance with, uhhh, precedent out there, it’s constitutional. RUSH: Stop tape. What precedent? There no precedent on this. There’s no precedent. There’s no legislation that required us to go buy something, enter into a contract, that the court has found constitutional. There’s no precedent. That’s what this is all about. Okay, let’s hit it. OBAMA: That’s not just in my opinion, by the way. That’s the opinion of, uh, legal experts across the ideological spectrum, uhhh, including two very conservative appellate court justices, uh, that said this wasn’t even a close case. RUSH: Stop the tape. Again, the construction here of the straw man in every instance such as this. “By the way,” he says, “that’s the opinion of legal experts across the ideological spectrum.” Whether it’s global warming or whether it’s the stimulus that’s gonna create jobs, “Ah, there are economists all across the spectrum!” No. He’s got two judges here, one of them was Laurence Silberman, who is conservative, and I’ll tell you: When Silberman ruled that the mandate was constitutional, I thought “Whoa!” I was taken aback, I’ll admit that. But there’s no broad-based consensus across the ideological spectrum of experts. That’s what this is about. Okay, keep going. OBAMA: I think it’s important ’cause I — I watched some of the commentary last week, to remind people that this is not an abstract argument. People’s lives are affected by the lack of availability of health care, the inaffordability (sic) of health care, their inability to get health care because of preexisting conditions. RUSH: Stop the tape. It is precisely an abstract argument. That’s exactly what’s going on here. This was my point last week. This is a classroom discussion. This is a bunch of people on his side sitting around theorizing on how they would make it better if they had the power, if they had the opportunity. It is abstract. And then everything that followed that is irrelevant. The court is not to take into consideration who has health insurance and who doesn’t. That is not what is being argued here. This is not before the court because some people don’t have health insurance. This is not before the court because some people have health insurance that other people are paying for. The details of health care in America are not why this case is being argued. This case is being argued because his administration is trying to violate the Constitution in securing the largest power grab by the federal government in the history of this country. That’s what’s being argued: Does he have the constitutional right to do it this way? All this other stuff is nothing more than tugging at our heartstrings. All this other stuff is trying to inject politics. All this other stuff about the uninsured and preexisting conditions, that’s an attempt to ladle guilt on the justices, and particularly the conservative justices. “If you find this unconstitutional, look at the pain you are causing! Look at the heartbreak you are causing! Look at the number of people who might even die because of you.” That’s what he’s doing here. That’s the degree of intimidation and threat that Obama is employing. All right, let me find my place in the transcript here and… Okay. Hit it. OBAMA: The law that’s already in place has already given 2.5 million young people health care that wouldn’t otherwise have it. RUSH: Stop the tape. Irrelevant. That doesn’t mean that if the law is unconstitutional, it should stand. It doesn’t mean that. If ten million people have health insurance now who didn’t have it… And I don’t even want to get into the argument of whether he’s telling the truth here or not because there’s no way to know. They just make these numbers up left and right, like there were three million homeless, like there were 45 million uninsured. The number’s 16, 15 or 16 million. The numbers don’t matter, which is why I’m not gonna get into ’em. It’s irrelevant. If 30 million uninsured all of a sudden now had health insurance, that’s not germane to what’s being discussed. OBAMA: There are tens of thousands of adults with preexisting conditions who have health care right now because of this law. RUSH: Ah, ah, ah, ah, ah. No, Mr. President, in fact, the rate of people signing up for this provision is way low, much lower than the government expectations. But again, that’s irrelevant. It doesn’t matter. It’s not what’s being argued. Whether or not people with preexisting conditions now have insurance isn’t relevant. Folks, all I’m doing here is telling you what is. I am not arguing politically. I’m not trying to stop Obama from having a political victory. I’m scared we are losing this country, and we are going to lose big if this thing is ever fully implemented. We have until 2014 to stop that, and the court here is just one step in this. I don’t mean to sound — and please do not infer that I don’t care about people who do not have health insurance. I do. This is not the way to fix our problem. I’ll just ask you to look at our history yourself. We’ve had a war on poverty. We’ve had the Great Society. We’ve had every number of liberal-created social programs to fix problems and I ask you, is one of them fixed? Or are they all out of control and worse? And the answer is the latter. This is not the way to fix the problem, but it’s not germane to what the justices are deciding in the first place. I don’t care whether Obama knows that or not. I don’t care whether he’s so ignorant and ill-educated he doesn’t know it. All I know is he’s using threats and intimidation and trying to ladle guilt on these justices. Here’s what you’re going to be taking away from poor Americans if you do this. Here, he kept going. OBAMA: Parents don’t have to worry about their children not being able to get health care because they can’t be prevented from getting health care as a consequence of a pre-existing condition. That’s part of this law. OBAMA: Millions of seniors are paying less for prescription drugs because of this law. 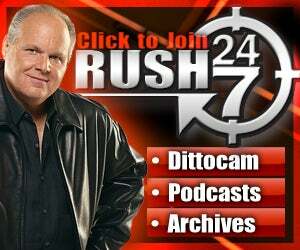 RUSH: Stop the tape. That’s irrelevant, too. If anybody’s paying less for prescription drugs it’s because of George W. Bush and Medicare Part B. But again, none of this is relevant to what is being argued. We are talking about the Constitution. We do not have the right, these are people who have sworn an oath to uphold, defend, and protect the Constitution, and there’s no reason to abandon it. You cannot say, “Well, there are all these people without health care so the Constitution doesn’t matter.” Wrong. It’s not the only way to fix this problem. Keep going. OBAMA: Americans all across the country have greater rights and protections with respect to their insurance companies and they’re getting preventive care because of this law. RUSH: No, not relevant. Keep going. OBAMA: That’s just the part that’s already been implemented. That doesn’t even speak to the 30 million people who stand to gain coverage once it’s fully implemented in 2014. RUSH: Oh, 30 million now? It’s actually 15, but a couple years ago it was 45 million. Again, none of this is germane. Now, you go out and ask your average liberal and this is all that matters. “The Constitution, what Constitution? What a barrier. You mean to tell me the Constitution’s preventing people from getting health care? Well, to hell with the Constitution.” That’s what people on the left think. That’s what we’re up against. But none of this is relevant. The message here is, Justice Kennedy, do you want to take all this away from people? Do you want this on your head, Justice Kennedy? That’s the point of what he just said. RUSH: How many people are homeless? Shouldn’t the government do something about that? Shouldn’t the government mandate that everybody buy or rent a house? And shouldn’t the Supreme Court uphold that because, how can you take a house away from somebody as we force them to buy it? This is what he’s arguing here. It’s figuratively speaking here. Obama’s put a bounty out on the Supreme Court, figuratively speaking, since bounties are in the news lately. There’s no question. This is a message to the conservative justices: Anthony Kennedy, look what you will be taking away if you strike down my law. Look at the people you will be hurting if you strike down my law. Let’s go to the next bite. It’s about a minute 19 seconds uninterrupted. We’ll see how far we get into this one. RUSH: Whoa, stop the tape. “I think the justices should understand.” The American people understand. Cue it back up to the top. I think the justices should understand. Well, it’s easy to detect the attitude here. You guys had better understand who you’re dealing with here. You guys had better understand what you are doing here. You’d better understand what your role is here. You better understand what I am expecting out of you. You better understand what you’re supposed to do here. Flat-out intimidation. No question about it. All right, let’s start at the top of this. OBAMA: I think the American people understand and I think the justices should understand that, in the absence of an individual mandate, you cannot have a mechanism to ensure that people with preexisting conditions can actually get health care. RUSH: Stop the tape. Yes, you can. There’s only one way to do this. By forcing everybody else to go buy health insurance to pay for those who don’t. That’s the only way to do it. Redistribution of wealth? Coercion? Compelled, forced contract is the only way to do it? Justices better understand. I’ll tell you what the American people understand. They hate Obamacare, by over 60%, some cases up to 70%, every poll. Why shouldn’t the justices be afraid of the wrath of the American people, instead of the wrath of Obama? If they’re supposed to pay attention to politics, if they’re supposed to pay attention to elections and polls, the American people don’t want this. “The justices had better understand.” Whew, boy. That is amazing. RUSH: Now back to our audio sound bites. Barack Obama yesterday in his obvious attempt to influence the vote at the Supreme Court. I’ve asked people if we can recall other presidents doing this. I frankly don’t, but I can’t say conclusively. I don’t know if Bill Clinton ever did. Campaign finance reform, I don’t know what happened with that. I know members of Congress go out and say things, but presidents, I just don’t recall. If it has happened, it’s not often and it’s not common. It’s not something that either of the Bushes ever did. Ronald Reagan never did it. I just can’t say for certain that this is unprecedented. I don’t think a president has ever called out the Supreme Court in a State of the Union message, for example. Well, I know, Andrew Jackson said to John Marshall, “Okay, go ahead,” back in 1832, “go ahead, you enforce it if you want. I’m not going to.” But the Jackson thing could be a myth. Well, I know FDR went after him when he was running for reelection, but there are presidents who have attempted to run against the Supreme Court as a campaign prop. This is an attempt to influence the vote of a particular justice or two. I can’t honestly say it hasn’t happened before. I just know that, if it has, it’s extremely rare and it is a total violation of decorum and traditions, which are falling by the wayside anyway. So let’s go back to the top. This is the bite where Obama tells the justices: I think you guys better understand. “The justices should understand.” Or else what? If they don’t understand, or else what? You guys better understand. You better understand what I expect. That’s what he’s telling them here. RUSH: Stop tape. Doesn’t matter. Not what’s being argued. Irrelevant. This is guilt ladling once again, trying to throw guilt up on all these justices. Look what you’re going to be doing to people if you vote the wrong way. Keep going here. OBAMA: So there’s not only an economic element to this and a legal element to this, but there’s a human element to this. RUSH: Whoa, whoa, whoa. There’s a human element? And only he, only he has the connection to the human element? Right. That’s exactly right. That’s why he nominated Sotomayor because she has the ability to relate and understand the trials and tribulations of minorities. That’s not in any way relevant to the qualifications for somebody to be on the Supreme Court. We need somebody up there to understand the plight of Hispanics. It doesn’t matter. That’s not in the qualifications. Empathy is irrelevant here. But as far as Obama’s concerned, it trumps the Constitution. That’s what he’s saying. The human element. What offends me about that, incumbent upon that is that we don’t. Is that we’re not connected to the human element. We don’t care about human beings. That’s what he’s saying. He cares about people; we don’t. Really? What do we stand for? We stand for individual freedom, individual liberty. We stand for people being able to use their God-given talents combined with ambition to be the best they can be, whatever that is. I said it at my CPAC address to the nation. We love people. We want the best for everybody. We don’t want to punish anybody for their success, for their failure, whatever. We don’t look at various pockets of this country that gotta be gotten even with or something like that. Human element? There’s that arrogance and conceit again, that only liberals care about people. OBAMA: And I hope that’s not forgotten in this political debate. RUSH: Stop tape. There’s not a political debate. It’s a legal argument. It is not a political debate at the court. OBAMA: I’m confident that the Supreme Court will not take what would be an unprecedented, extraordinary step of overturning a law that was passed by a strong majority of a democratically elected Congress. RUSH: Wait just a second. Stop tape. Unprecedented extraordinary step of overturning a law? It happens every term. There’s nothing unprecedented about overturning an unconstitutional act of Congress. Can I remind you of Proposition 187 in California? The people of California voted to end welfare payments to the children of illegal immigrants. A statewide ballot initiative and the people of California said we’re tired and we’re not going to pay for the health care or for other welfare for the children of illegal immigrants. And a federal judge threw it out, said it wasn’t constitutional, said the people of California didn’t know what they were doing. Don’t tell me that judges don’t throw out laws. One judge in that case, Prop 187. And there are a number of others, countless examples. How about Obama refusing to enforce federal law in Arizona when it comes to immigration and instead suing the state. So that’s a lie. That is not true. And of course this majority of a democratically elected Congress. He’s messing with the history of this again. Let’s review. Obamacare passed the Senate late on Christmas Eve of 2009, had a vote of 60-39. All Senate Democrats, two independents voted for it. All the Senate Republicans voted against it. It passed the House on March 21st, 2010, by a vote of 219 to 212. All 178 House Republicans and 34 Democrats voted against it. There was no bipartisan support for this. It barely won by seven votes. There was not an overwhelming victory by a majority of democratically elected Congress. And, in fact, if we’re gonna talk about democracy and majorities, I’ll again remind you of the polling data on this. Anywhere from 60, depending on the poll, to 75% of the American people oppose Obamacare. Shouldn’t the justices pay attention to that? If we’re gonna politicize this, if we’re gonna tell the justices they gotta start paying attention to democratically elected politics, democratically elected this or that. How about democratically conducted polls? “That would be silly, Mr. Limbaugh, to say the courts should respond to polls.” It’s silly to say they should respond to legislation. It’s not what is being argued here. Here’s the next part of it. OBAMA: And I — I’d just remind conservative commentators that for years what we’ve heard is the biggest problem on the bench was judicial activism or a lack of judicial restraint; that, uhhh, an uninelected (sic), uhhh, group of — of people would somehow overturn, uhhh, a duly constituted and — and passed, uh, law. Uh, well, eh, uh, uh, is a good example. Uhh, and I’m pretty confident that this, uh — this court will recognize that, uh, and not take that step. That was stunning in and of itself. Everybody that has any power over this thing has never read it! The justices haven’t read it. Members of Congress haven’t read it. Obama hasn’t read it. We have. We don’t have a vote. How about Obama? His Justice Department just announced one day that they’re going to stop enforce the Defense of Marriage Act. Remember that, folks? Just announced it! We’re gonna stop defending it. The Supreme Court found it constitutional. Obama said, “I don’t care. I’m not gonna enforce it.” Holder, DOJ, whoever, said, “We’re not going to enforce it.” So they’re trying to redefine judicial activism here and turn that one upside down as well. We’ll get to the final bite we have from Obama yesterday afternoon at the White House. OBAMA: As I said we are confident that, uh, this will be over — that this will be upheld. Uhhh, I’m confident that this will be upheld because it should be upheld. And, again, that isn’t just my opinion. RUSH: All over the place, yeah. RUSH: Everywhere, across the spectrum. OBAMA: — even if they’re not particularly sympathetic to this particular piece of legislation or my presidency. Did you catch that, Mr. Snerdley? Here play that again. Play the sound bite three here just from the top again. OBAMA: As I said we are confident that, uh, this will be over — that this will be upheld. AXELROD: I don’t think he’s trying to send a message, Charlie. I think he was like answering a question about, uh, what his — his reaction to last week’s proceedings. The president believes that the Supreme Court will affirm the law because it’s in keeping with their precedent, uh, not to overturn a law that Congress passed, uh, of this magnitude, certainly on a 5-4 sort of vote. RUSH: Ahhhh. We’re back to my theory over the last week. Can’t overturn this 5-4. It’s too much magnitude. Can’t overturn this 5-4 vote. No, no, no. The president is confident. He was just answering a question, Charlie. No, no, no. Well, let’s go back to January 27th in the House chamber at the State of the Union show, Barack Obama attacking the Supreme Court after their ruling in Citizens United. OBAMA: — some of these problems. 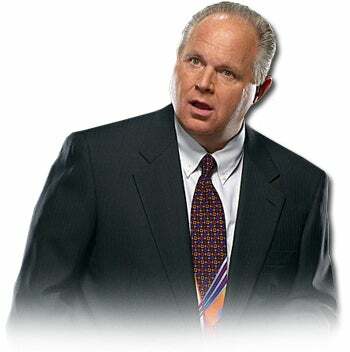 RUSH: I’ll tell you what, folks. That Citizens United case really bamboozled him. They hated it. That’s what gave us the super PACs, by the way. ‘Cause they’ll take money from foreigners. They’ll take money from unidentified people. They’ll take money from people that commit vote fraud. They’ll take money from people convicted of breaking campaign finance laws. They don’t care. You know what this is? “We had an unfair advantage until the court ruled, and now the court gave our opponents the same fundraising opportunity we’ve had always had and we don’t like that. We don’t like a level playing field.” But that was the assault on the court, and during that is when Samuel Alito, the justice, shook his head and was saying “no” right to Obama. RUSH: It’s really ironic to hear Barack Obama whining about legislation being decided by unelected judges. I wonder if he’s ever heard of Roe v. Wade. You talk about unelected judges imposing their own view of life on us? There’s no greater example than finding abortion to be constitutional. What about all of his czars who are unelected, who are unaccountable, who never have to be confirmed? We don’t know anything about them what they do or with whom they do it. Who elected Kathleen Sebelius to regulate one-sixth of the nation’s economy, our health care system? Who elected her? Who elected Steven Chu? Who elected any of Obama’s czars? Who elected the EPA to rule by fiat on carbon dioxide emissions? You see, it’s okay to ram through Congress something of this magnitude, along party lines, using legislative trickery. That’s perfectly fine, but it can’t be struck down 5-4. It can pass 219-212, but it can’t be rejected 5-4. We can ram it through Congress all day long with nobody even having read the bill, but the justices can’t reject it by a vote of 5-4. This whole notion of the human element. Throughout our legal system, the human element is expressly omitted. And by “human element,” I mean the emotion. Emotion, the human element is not part of a trial. It’s not supposed to be part of a trial. Now, lawyers do everything they can to sneak it in. But the law is not supposed to take that into account. The law is specifically to focus on the law, not the human element. Back in 2008 Obama said the mandate would hurt individuals. He said, “They may charge people who already don’t have health care fines or have to take it out of their paychecks. I don’t think that’s helping those without health insurance.” That was the human element, as far as he was concerned, in 2008. Now, it doesn’t matter.